Discovered in 1803 by a pharmacist from Quimper, this flower, unique and ephemeral, can not be exported since the plants do not reproduce after a few years. Due to the inevitable disappearance of the species, a natural reserve was created in 1973 on St Nicolas Island to protect it. 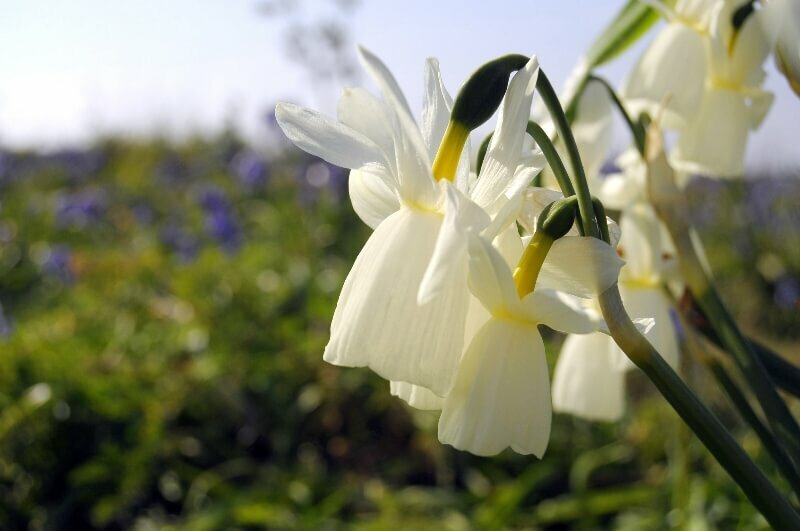 Discover the archipelago in April to observe the flowering of the Narcissus during your stopover or choose a nature walk with the Tourist Office of Fouesnant and its guide, Lulu, or with the Bretagne Vivante Association. Three interresting possibilities to discover this unique flower.